Scotland’s Rural Past (SRP) is a five-year, nationwide project, which will support local communities across Scotland to investigate deserted rural settlements dating from the medieval and post-medieval periods. The project, which was launched in October 2006, is hosted by the Royal Commission on the Ancient and Historical Monuments of Scotland (RCAHMS), with support from the Heritage Lottery Fund, the National Trust for Scotland, Historic Scotland, and Highlands and Islands Enterprise. Through the work of the Historic Rural Settlement Trust these organisations have recognised the need to improve our understanding of these rural sites and encourage their conservation by involving local people. Until recently, the majority of Scottish people lived and worked in the countryside. This rural way of life, which was the backbone of Scottish economy and culture, for hundreds of years has changed dramatically. Most of the settlements have now been abandoned, leaving only the crumbling remains of villages and farms dotting the landscape. There are literally thousands of these derelict settlements across Scotland, many of which have not been documented in any detail, if at all. These remains represent an invaluable record of Scottish rural life during a fascinating period of change that spans both the agricultural and industrial revolutions and the Clearances. They form a vital part of Scotland’s history, yet we know so little about them or the way of life for the people that lived in them. There is much work to be done if we are to record and understand them before they fade from the landscape. Scotland’s Rural Past will raise the awareness of this fascinating archaeological resource by working with local communities throughout Scotland to develop locally-based projects that will generally last one-two years. It will encourage members of the public to discover more about historic rural settlements in their area through researching, recording, interpreting, and even promoting them. 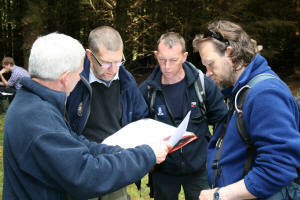 In the longer term the data collected will help the future preservation and conservation of these rural sites. How can you get involved with Scotland’s Rural Past? There are many ways in which you can get involved. You may wish to get out and about in the countryside to discover, survey and record historic rural settlement remains, or you may prefer to engage in desk-based research on historic documents, maps or photographs. 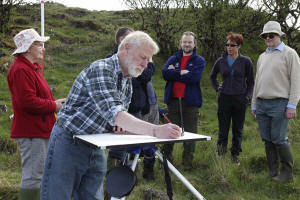 The survey material produced by volunteers can also become part of the records of the RCAHMS, where it will be made accessible and preserved for future generations. Alongside the field survey and recording projects, SRP will support you to develop educational projects to raise awareness and improve physical and intellectual access to Scotland’s rural history. These projects will include a range of interpretive events and activities, school projects, guided walks, an interactive website, talks and exhibitions which will develop in response to your interests and findings. There are also opportunities for initiating conservation and interpretation projects for local sites. You will be able to present your findings at an annual conference and become involved in other existing heritage projects such as Scottish Archaeology Month or the Council for Scottish Archaeology’s Adopt-a-monument scheme. Whatever your ideas, SRP will provide expert advice, support and assistance throughout your project. The project promises to be fun, innovative and will have a real sustainable impact on helping record and preserve elements of the historic landscape. It offers you the chance to work with other interested volunteers to learn more about a valuable aspect of our heritage and to help preserve it and promote it for the benefit of future generations.